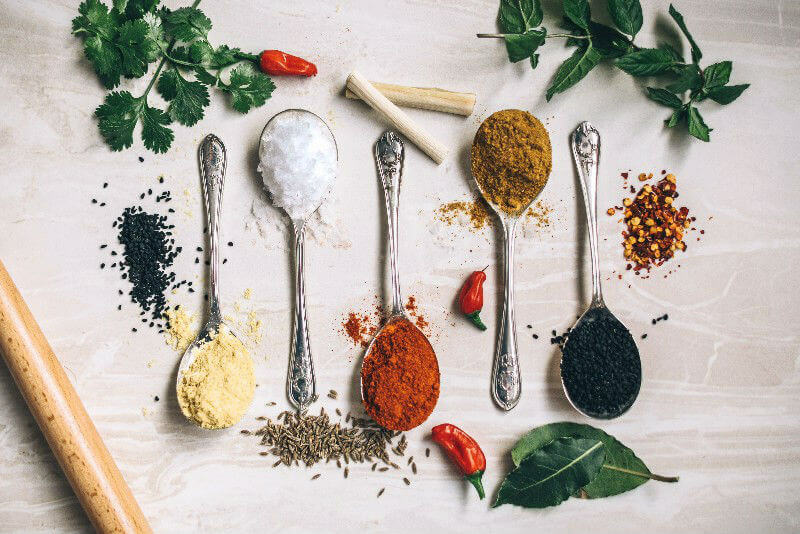 Acid-Alkaline Spices and Herbs Food Chart is a list of acid or alkaline values for common herbs and spices. I explain the values for this food chart, and related charts, in my Basic Acid Alkaline Food Chart Introduction. I explain the values for this acid-alkaline oils and fats food chart in my Basic Acid Alkaline Food Chart Introduction. If you have any questions about this information or any suggestions for improvements, please add your comments below. I’ve used your feedback to produce an improved Alkaline Oils List, but you can still help me improve even more. 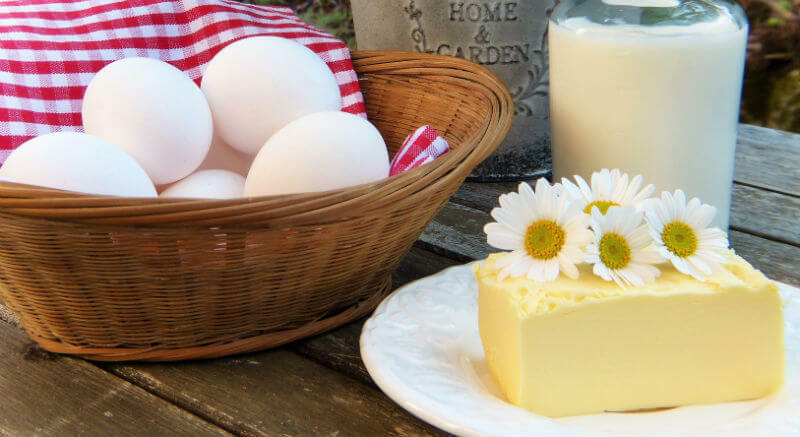 I explain the values for this acid-alkaline dairy and egg food chart in my Basic Acid Alkaline Food Chart Introduction. I’ve used these acid-alkaline foods charts to introduce this food diary project, which will soon have many more features and benefits. I will provide you with your, personal online food diary. These charts are basic, but the finished project will be rich with many features that allow you to manage your diet. I have many ideas for turning this basic information into an interactive service to help you plan your diet, but I also want your ideas. Your feedback will help me build this project quickly to provide you with better nutrition management tools. 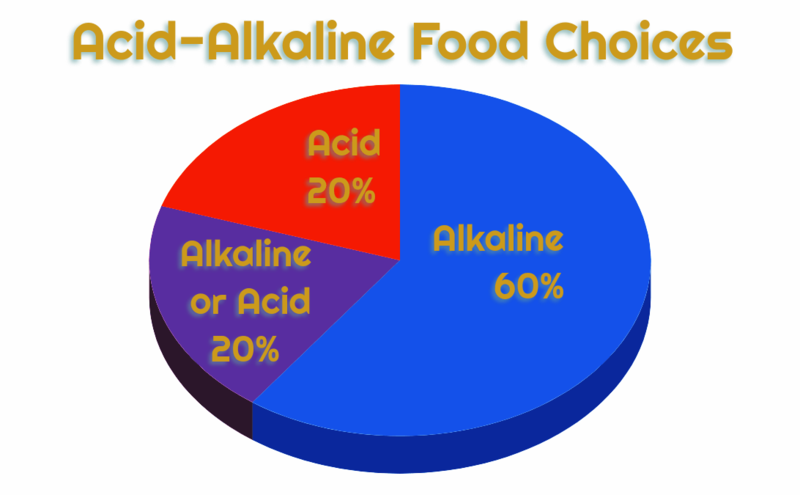 This introduction to my basic acid alkaline food charts describes how they are structured. It also acts as an index to the charts, which are organized by USDA nutrition food groups. This is the first set of charts to use PRAL Scores to rank foods by acid or alkaline effect. Later charts have more features and focus on popular foods. Why Use PRAL Alkaline Food Charts? Alkalizing your body (which essentially means ensuring your urine is alkaline) has many health benefits, though not as many as some merchants claim. Taking baking soda (sodium bicarbonate) works for many health problems. Unfortunately, it can raise blood pressure, so an alternative is better. This is where increasing your pH level through food comes in. There is a lot of information on the Internet about alkalizing diets and acid-alkaline balance. Much of this is confusing and sometimes contradictory. First of all, the effect of food on the body is nothing to do with the pH of the food itself. The important measurement is how the food changes the pH of your body after it has been digested. Often sour foods like lemon juice will actually raise pH after digestion, making the body more alkaline. Secondly, alkalizing the body with food does not mean that you must stop eating lots of different foods. The opposite is true. You must eat a wide variety of food, choosing acidifying foods as well as alkalizing ones, which, in total, have an overall alkalizing effect. My best alkaline foods servings list shows the top 100 most alkaline foods by serving size. 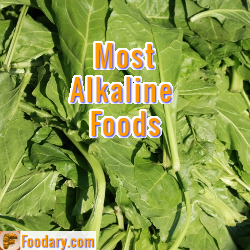 In my previous Most Alkaline Key Foods List, I looked at the best popular foods. That information is derived from the list of key foods prepared by USDA. Unfortunately, we know that popular foods are not necessarily healthy, so I have widened the scope. Obvious duplicates where foods are listed with and without salt. Salt does not affect PRAL estimates. So, I’ve omitted those duplicates. 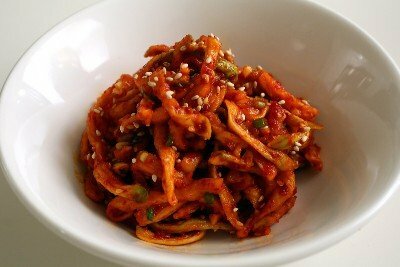 Processed foods are difficult to omit completely. I’ve tried to keep packaged foods that are not overtly unhealthy. However, some may have slipped through, so tell me if you see any unhealthy foods, and I will remove them. This alkaline alcoholic drinks list extends my alkaline beverages list. That list covers all key drinks from the USDA Key Foods list, whereas this list covers all alcoholic drinks from the full database. There are thousands of Internet pages that describe alcoholic drinks in general, and beer in particular, as acidic. They are all wrong. (but please see my response to this comment about the wrong way to measure alkaline foods and drinks). That notion comes from a lab test where drinks are incinerated until all water is evaporated, and all fats and proteins destroyed. The resultant inorganic ash is measured for pH. That value is meaningless for nutrition purposes. Our bodies use organic matter as well as inorganic matter. Destroying organic matter produces false results. This is not how our bodies work. If you see alkaline nutrition information based on ash pH tests, you should ignore it. If you paid for that information you should seek a refund or sue the publishers. This alkaline breakfast list is an update to my Acid-Alkaline Breakfast Cereals Chart. I have reduced the number of food items down to those included in the USDA Key Foods list. I have also increased the amount of nutrition data to include more than just a measure of the acid-alkali effects. Breakfast is an important start to the day, and current Harvard nutrition advice recommends whole grain cereals. In fact, whole grain cereals should make up one-quarter of our daily calorie intake.